The Atlanta Wholesalers Group is a new Atlanta REIA Subgroup run by Frank Iglesias. Frank is an Atlanta REIA member and an active, full time real estate investor focusing on wholesaling, rehabbing and cash flow. The mission of the Atlanta Wholesalers group is to focus on all things wholesaling related in order to give clarity to a field that is simple, yet very often misunderstood. The meeting addresses any and all topics regarding how to be effective as a wholesaler while also addressing the all too common misconceptions that can run rampant. We also focus on the critical importance of relationships, integrity and continual growth. When you attend the Atlanta Wholesalers Group meetings, make sure to bring your deals! Frank is an active buyer and it is common for many other buyers to attend the meetings as well as they look to connect with wholesalers working on growing their business. Several group members have completed profitable transactions as a result of the relationships created and grown within the group. The Atlanta Wholesalers Group was established to focus on the wholesaler and to seek to grow and empower you to get more deals done in every way it can. Meetings will be held on the 3rd Tuesday of each month at the Hudson Grille located at 6317 Roswell Rd in Sandy Springs, GA from 7PM – 9PM. Dinner will be available to order and is encouraged. Join us for the meeting as well as dinner to help support our local businesses. As always we will socialize after the meeting for easily 1-2 hours getting business done and building relationships. There is no charge to attend the meeting, but tremendous value to be gained. Come join us. We look forward to networking with you there! 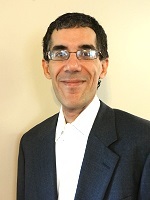 Frank Iglesias is an entrepreneur and one of the founders and managing partners of Working With Houses, LLC. Frank has been involved in the real estate industry for the last six years. Through all the volatility, he has been able to adapt and continue to grow his business. He has a background in Education and Information Technology and enjoys helping other real estate investors on their path to success. Frank run The Atlanta Wholesalers Group which focuses on all aspects related to wholesaling real estate.